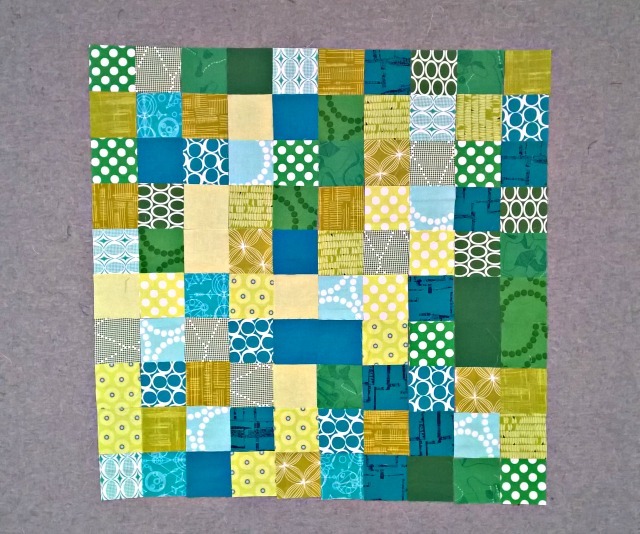 October was so full, I didn't get around to even think about doing the Mighty Lucky Quilting Club challenge. but luckily I was able to tackle this month's from Amanda/crazy mom quilts, as it caught my interest right off. The topic, "Effective Fabric Selection," was one I think all of us strive for, right? 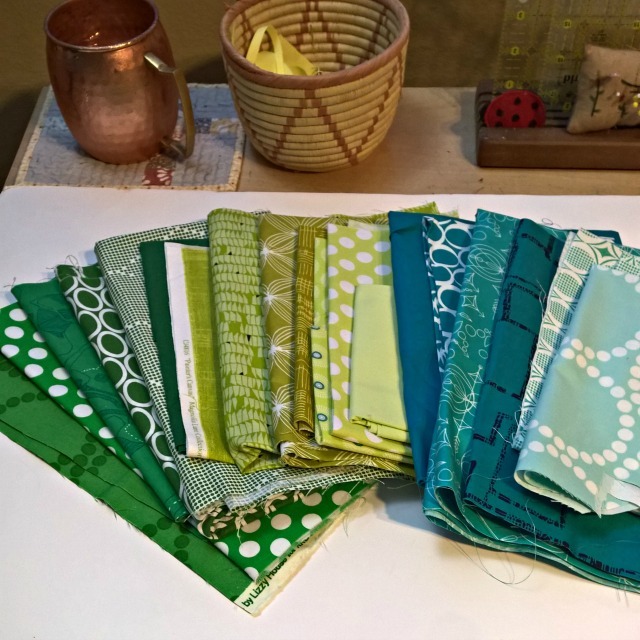 Amanda provided several prompts to choose from, and considering I rarely consult a color wheel when planning a quilt, I chose that as my prompt, specifically selecting an analogous color scheme - colors directly next to each other on the color wheel. And arguably one that definitely felt better than totally arbitrary, random with veto power. I let things be as they may except when exactly the same color and value. 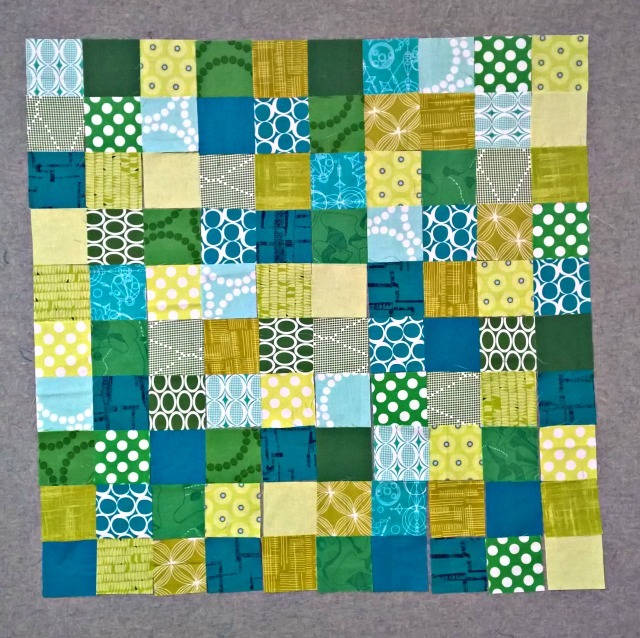 Even with this very simple design, I decided to go ahead and make my customary 17" quilt to represent this challenge, mostly because I loved the colors so much. Yeah, it has some similarities to that made in March, but considering I gifted that one to mom, I'm ok with it. Nice! 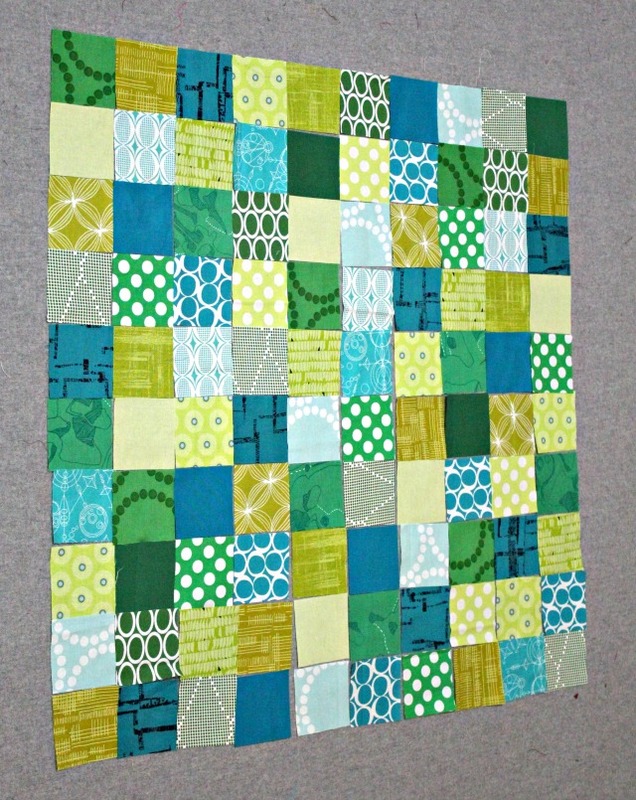 I love a simple charm quilt for playing with selecting prints. Did the Moscow Mule help? 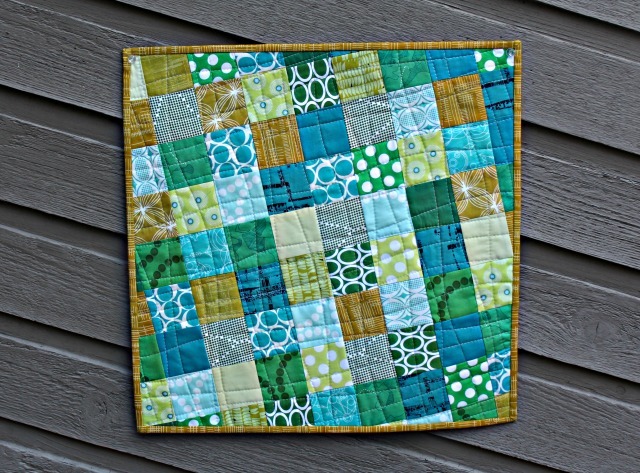 I loved seeing your various layouts, and the way you quilted, angled and bound it is fabulous! The colours go very good together. You have a lot of pretty fabrics in your stash. Hmm, I think I like the first layout the best - you have a great eye for colors and layout! But random with veto is nice, too. And I love the angle! Random is great, but sometimes that needs a tweak. Great finish. I love that you put it on an angle, perfect! I just love those colours and the way you trimmed it at an angle is such a nice touch. Very cool little finish. Your color choices are spot on! And that you laid it all out at an angle makes it so much more interesting than on the square. 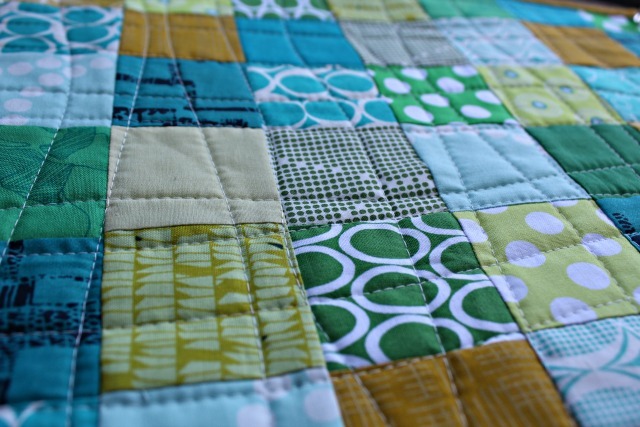 Perfect organic quilting too. You nailed this one!